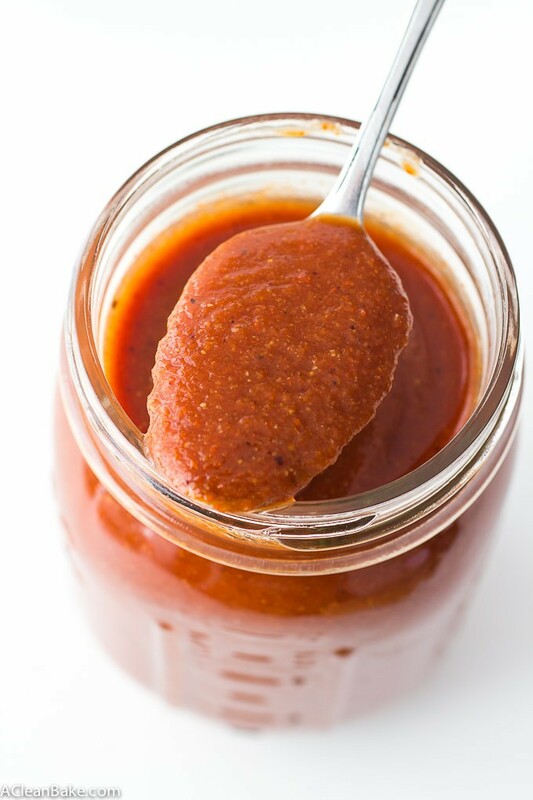 Gluten free enchilada sauce recipe that comes together in about 30 minutes in one pan. 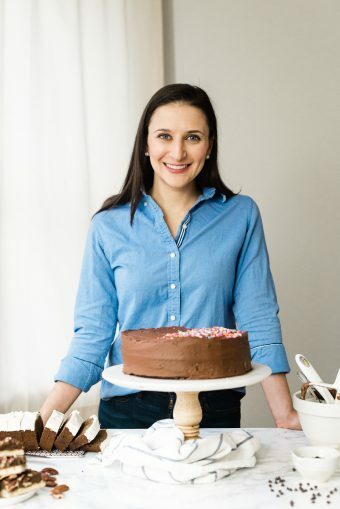 Just add a few clean, gluten free, vegan, and paleo ingredients, and stir! Mexican food is, to me, an anytime-comfort food, but especially in the summer when you can eat it on a patio with a cold margarita and a few gallons of guacamole. 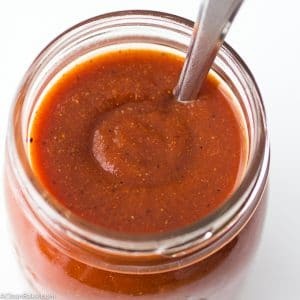 If, like me, you have an unhealthy preoccupation with making your own condiments* just the way you like them – free of added sugar, preservatives and artificial flavors – then this is this (gluten free) enchilada sauce for you. 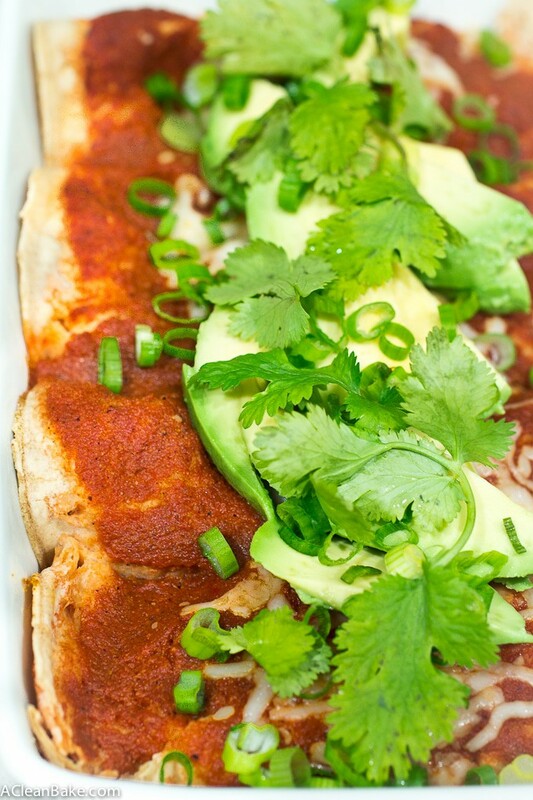 The point of this recipe isn’t the enchiladas themselves because far be it for me to tell you how to make your enchiladas <— ok that’s a bit of an overstatement; I’ll probably post my recipe for my favorite chicken and spinach enchiladas for you sometime, but not today. Today we’ll focus solely on the sauce which, really, can make or break an enchilada. One of the many benefits of making enchilada sauce yourself is that you can tweak it to your liking: make it smokier, or sweeter, or spicier or saltier if that’s what makes your enchiladas perfect. What to do with your batch of gluten free enchilada sauce. Once you’ve perfected the sauce, use it liberally. Pour a generous layer on the bottom of the pan, then dip the tortillas (gluten free or grain free, if you prefer, but the grain free ones don’t soak up the sauce as well, I’ve found) in the sauce before filling and rolling them, and finally, drizzle a little bit more sauce over the top of the enchiladas before you pop them in the oven. No chance of bland or dry enchiladas here. So, I’ll bet I know what you’re thinking right now: that this magical gluten free enchilada sauce must take hours of slaving over a hot stove in the blazing heat of summer to make. Well, gee. That’s harsh! I thought you knew that I would never perform such a cruel bait-and-switch on you. 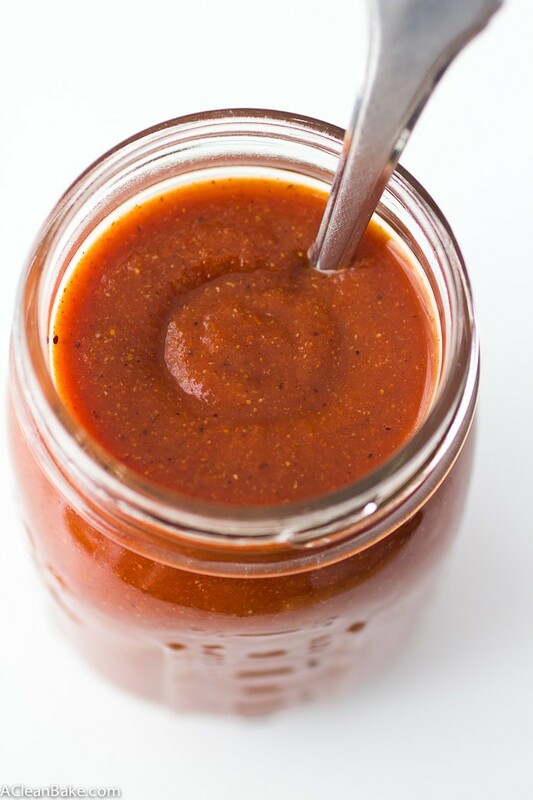 This gluten free enchilada sauce is the real deal: not only is it delicious, customizable, gluten free, vegan, paleo and easy, it also takes less than 30 minutes to make! Whisk together all of the ingredients in a small saucepan over medium heat. Remove the top and simmer gently, stirring occasionally, until thickened. Cool completely before serving or storing. Yield: 3 - 3 1/2 cups, depending on how much you let it thicken. 1 serving calculated as 1/4 cup of sauce from a 3-cup yield. PS: Follow my Taco & Mexican Food Recipes board on Pinterest for more recipes like this! I’m in!! Have you been to La Revolution on Broadway and Stratford? AMAZING guac! I’ve been meaning to make a clean enchilada sauce for a looong time, and have just been too lazy to figure it out on my own. Weeeell, problem solved! I didn’t realized all the ingredients would be so straight-forward, ha! I’m trying this easy peasy sauce for sure! Don’t worry, I have you covered!! The best part about this recipe is you can be lazy AND have enchiladas because the sauce only takes like 5 seconds to make! Awesome recipe – I just printed to use tonight and put in my paleo recipe binder. THANKS!